Standing water in residential and commercial buildings is a worst-case scenario that must be dealt with quickly. It needs to be removed, and its source needs to be fixed. In Long Island, NY, these types of events tend to stem from floods, major storms, sewage backups, burst pipes, and leaks. To assist you during your time of need, we offer 24/7 flood damage cleanup services here at RestorationMaster. We will dry affected areas and items and restore your property to its original condition. We provide these services for homes and businesses in Long Island from Montauk to Manhattan, NY. 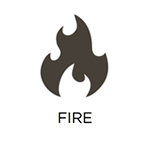 These elements are at such a great risk because water can easily penetrate them to cause and spread damage. Discoloration and corrosion are common effects, as are warping and buckling of structural materials. There are many more problems that can arise from indoor flooding. Two of the major ones are mold growth and the spread of contaminated water. 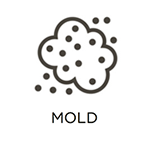 Mold Growth: Mold and bacteria can begin to grow in areas affected by excess moisture. This is obviously evident in cases of indoor flooding. These substances can lead to additional structural damage within your building, and potentially cause health problems for those exposed to it. Contaminated Water: Contaminated water (such as water that contains sewage) is a unique challenge because of the presence of harmful bacteria. When handled improperly, contaminated water can lead to the transfer of infections and diseases. Our RestorationMaster technicians will remove all excess water and moisture from your building, fix the initial cause of the problem, and restore affected areas and items. We will also sanitize and deodorize your property as necessary. We do this using professional-grade equipment and time-tested procedures. Additionally, we offer these services 24 hours a day, 7 days a week, to respond swiftly during your time of need. This limits the extent of the flood damage, and results in a quicker recovery. 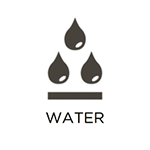 We are also certified to handle situations involving contaminated water. If your property floods, we encourage you to contact our RestorationMaster representatives as soon as possible about our flood damage cleanup services. We will get a talented team of specialists to your location to develop an appropriate plan and return your building and its contents to their original condition. We can be reached 24/7 at (631) 206-6808, and we service property owners in Long Island from Montauk to Manhattan, NY.